I got addicted to body scrubs last summer, probably because I had all the time in the world to stay in the bathroom. Believe me, you rarely have time to even eat when you're a full time law student and mom of a toddler. Anyway, I got delighted when I was invited to try out the Asian Secrets Lulur Whitening Body Scrub cause I haven't found the "one" yet. I was sent the Green Tea with Vitamin E and Seaweed Extract with Vitamin E variants for this review. 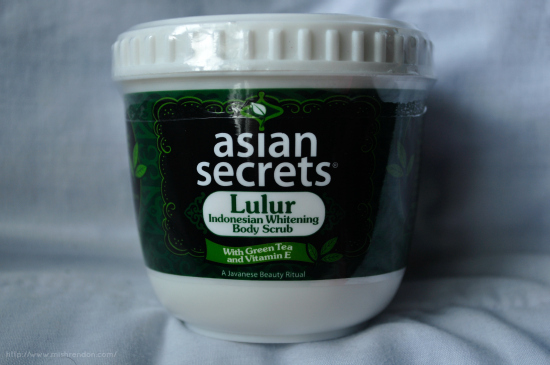 Asian Secrets Lulur Whitening Body Scrub is a beauty treatment inspired by a most luxurious Indonesian ritual called Lulur. The ritual was originally intended for the bride-to-be in order to beautify, smoothen, and whiten her skin before her wedding day. Lulur originated from the royal palaces of Java, Indonesia and products inspired by this traditional treatment are still used by Indonesian women today. First of all, the smell of the product is heavenly. The Green Tea variant smells like flowers and the Seaweed Extract variant smells like ocean. The scent is not too strong and overpowering unlike other body scrubs that I have previously used. After rinsing the product, I love how a hint of the scent remains on the skin. As per its directions, it must be used on dry skin and then rinsed with water afterwards. I love that this product is not abrasive and does not hurt even when used on dry skin. The scrub is gentle enough to exfoliate dead skin cells and other impurities from the skin. I think this product has the finest scrub that I have ever tried. The mixture also has a nice consistency. It's not too runny but not sticky either. 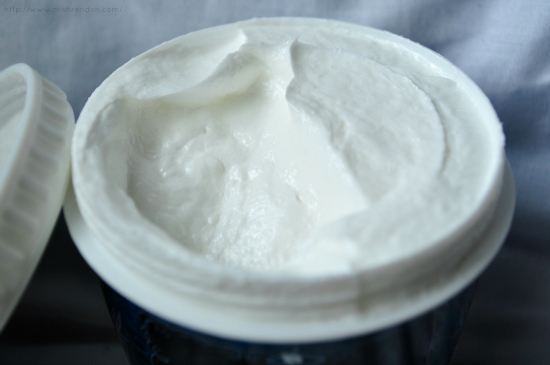 It actually looks like mousse which makes it easier to apply to the skin and to remove as well. 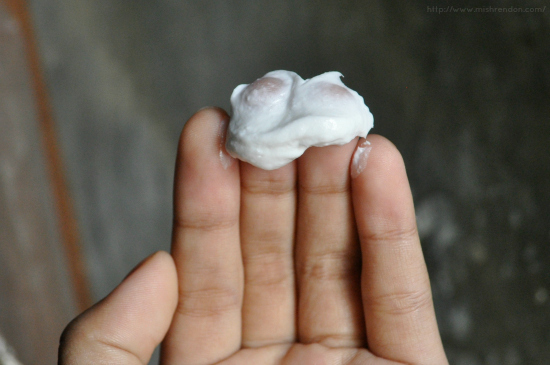 After using, my skin definitely felt smoother and softer. I can't seriously stop touching my arms cause it feels like my baby's soft skin. I have not experienced any drying effect from using the product, too. My skin appears brighter, probably because of the dead skin cells removed from my skin. However, I was not able to see any permanent whitening effects so far. I'll get back to you on that after I have finished the entire tub. But so far, this is my new favorite body scrub product! It gently exfoliates the skin and removes dead skin cells to soften the skin and give it a radiant glow. 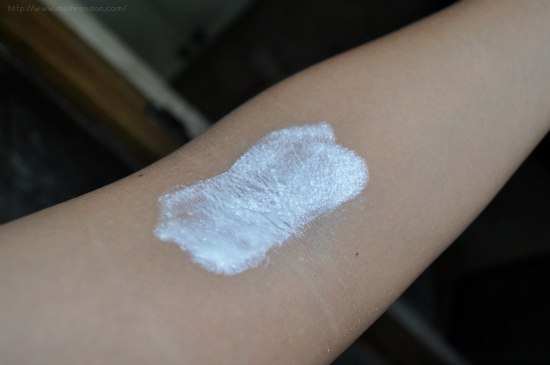 Frequent usage reduces skin pigmentation and evens out skin tone by getting rid of dark patches especially in areas prone to darkening such as the elbows, knees, armpits and the area between the thighs. It contains Vitamin E and Green Tea extract, powerful antioxidants that protect your skin from free radicals to keep it healthy and young-looking. It also contains Squalene and Olive Oil that help maintain moisture in your skin. 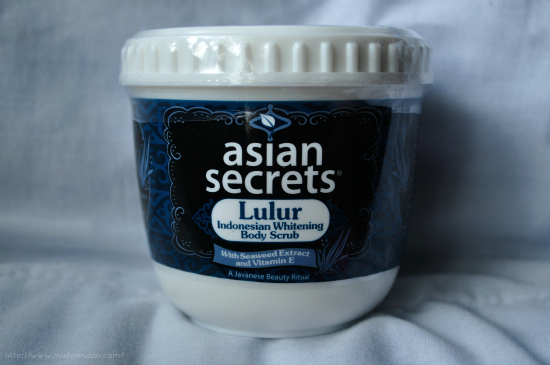 If you wanted to feel like royalty or wanted to have a spa at home, the Asian Secrets Lulur Whitening Body Scrub is definitely for you. Manufactured by Unilab, you are always be assured that it is safe to use and gives satisfying results. This product is available in most supermarkets and drug stores nationwide. PS. Some brands claim that you use body or facial scrub everyday, but that is not actually advisable. Limit scrubbing your body twice or thrice a week depending on your skin condition (people with oily skin should exfoliate more often). this is getting popular. I noticed a lot of other bloggers includes this in their hauls too. I'm currently using Gluta-C from sampleroom and that got me hooked up into using body scrubs. I'll probably try this one next. I'm using this one, very effective.. I have these scrubs and I love how they have the subtle scent! It's so relaxing!